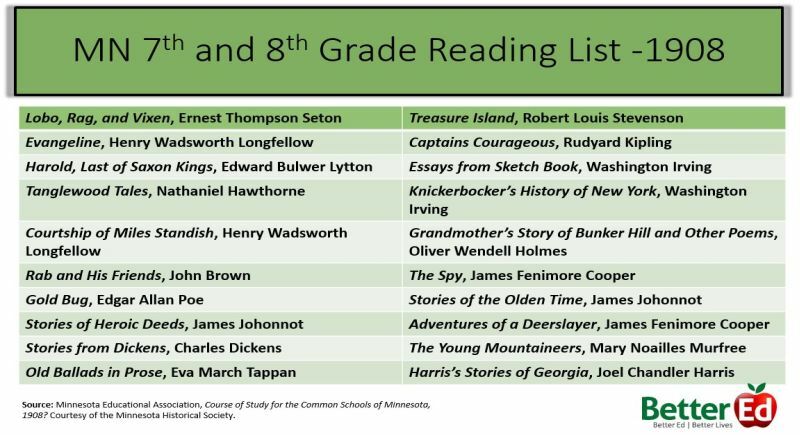 Last year, Annie Holmquist, a blogger for better-ed.org, discovered a 1908 curriculum manual in the Minnesota Historical Society archives that included detailed reading lists for various grade levels. 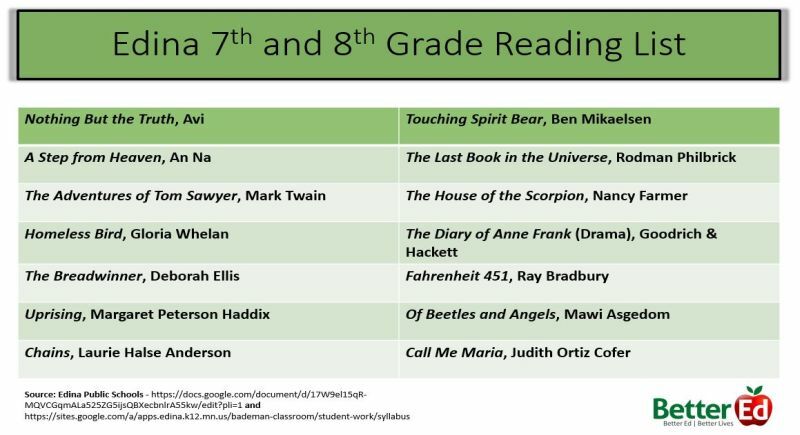 Are these major problems for our students today? Is Ms. Holmquist on to something with her research and analysis? Or was Hamlet’s mother, the Queen, correct when she said: “The lady doth protest too much, methinks”?